When I took this photo I was annoyed because the camera kept loosing focus – but the more I looked at it the more I loved it. 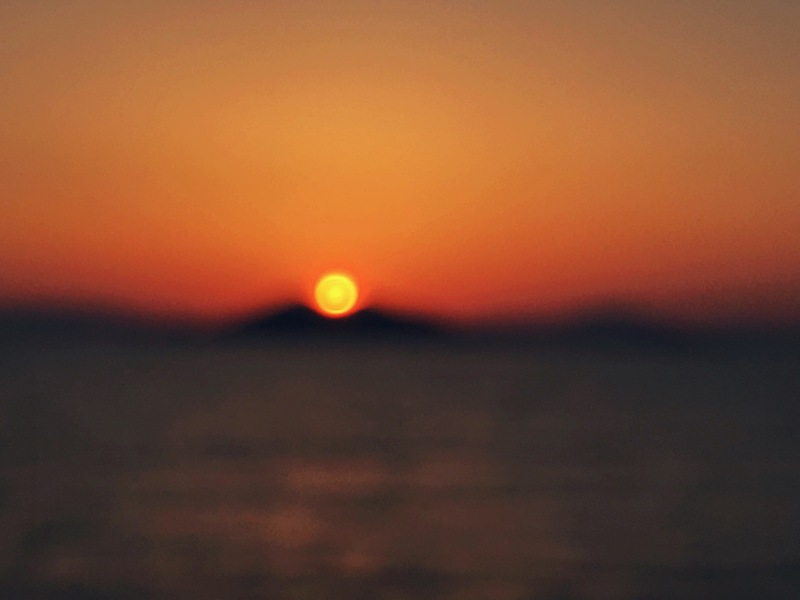 I think the blurry effect actually makes it look a lot better and it certainly stands out among the other thousands of Calis Beach sunset photos on my memory card! The island in the centre is Red Island/Kızılada and the sun was setting right behind it, but the perfectly-timed shot made it look like the sun was actually melting away the island!